As 2016 came to an end, it was time to consider New Year Resolutions. The infamous saying “new year, new me” automatically popped into my head, as society has drilled this concept into my mind for as long as I could remember. But aren’t you so tired of hearing this phrase? Every year, over and over, people claim that they will make resolutions and change areas of their lives, only to let it fall through just a few weeks later. Positivity & Gratefulness: Positive thoughts lead to positive outcomes. This year, let’s try to work on letting stress go! Focus on the happiness of waking up for another day. Whether succeeding or failing in a project, focus on the experience you gained while trying. Take a moment each day and appreciate everything around you – the beauty in nature, the smile of a coworker, a good cup of coffee – anything that you are grateful to have in your life. Say thank you more often. Enjoy a meal with family or friends. Avoid complaining or judging others, or yourself. Focus on the law of attraction, and do what you can to boost your attitude of gratitude! Savings: 2017 will be the year of saving! Whether you are saving money, or working to save your credit, let 2017 be the year you accomplish this goal! Work smarter, not harder! Open a savings account (if you do not have one already) and anytime you can, put money in it. Even if it is only five dollars, no pressure. If you save one dollar a day, that is 365 saved in a year, five dollars a day saves $1,825, and so on. Make sure to pay bills on time or ahead of time if you can. Keep the balances on your credit cards low, and pay off debts rather than transferring them around. Do not close any open accounts, even if you are not using the credit card, and do not open credit accounts that you do not need. Health: Work on your overall health for 2017, and no, this does not mean lose 50 pounds. Try to incorporate exercise into your daily routine, as a way to let go of some of the stressors from your day. Eat Breakfast! Breakfast is the most important meal of the day; it gives you energy, which leads to productivity. Meditate before bed, and reflect on calming your thoughts. Take a vacation to a destination that you have never been before. Explore your roots by going to visit the place where your ancestors lived. Grow as a person by taking a volunteer trip, or take a “staycation,” and just stay home and watch movies all day long, resting and relaxing. Prosperity and Accomplishments: 2017 is the year you will accomplishment your goals! Make a commitment and stick to it. Keep track of your progress, and if you fail for a moment, keep going. Ask for help when you need it. Focus on being consistent. Whether your goal is to purchase your first home, start a family, open a business, buy a car, etc. Do not stop working until you achieve it. New Year, Fresh Start- to be a better version of yourself. This entry was posted in first-time homebuyers, health and wellness, home remodeling, motivational, real estate and tagged energy, florida, holidays, home, investing, projects, real estate, tips, travel. Hooray! It’s a new year! Which can only mean one thing…New You? Not quite. How about new home? Well, sort of. You see, along with the New Year comes entirely new trends for your living space that will make all your friends wonder where you found the time to pack up and move to such a fancy abode. Now, it’s all about getting the inspiration that you need to start making the big transition into 2015. Where does such a brilliant stroke of inspiration come from, one might ask. Well, none other than from us, of course! Start off simple and begin with your color palette to influence the direction that your redesign will venture towards. Every year a handful of new trending interior colors pop up that are influenced by people, places and even things! Most anticipated each year are the newest colors from the Pantone Spring 2015 colors like Aquamarine to give your room a dreamy feel or Toasted Almond for a very organic and natural looking atmosphere. Even beyond that there are further trending colors for the New Year like Greek blue influenced by the Mediterranean or neutral gray to bring some contrast to your space. Once you’ve decided on a color then the fun REALLY begins. 2015 is all about blending materials that seemingly don’t mix to give a very modern, yet clean feel. Whether you’re redecorating a room or your entire home with new trends for year, going for a modern look will ensure that your efforts effortlessly pay off in the long run. Try placing stress on softly curved lines or organic shapes to bring some personality to accent pieces. To give a more rustic feel to your modern new interior redesign, try your hand at juxtaposing natural elements such as stone, wood or metal with accent pieces that stand out. Even if you’re working to simply give your favorite bathroom a new breath of life in 2015, there are new trends that are shaping up to be some of the hottest of the upcoming year. In fact, a 2014 study done by the National Kitchen & Bath Association surveyed upcoming new trends for the year expressed that most designers felt modern and simple were the key to focus on with a contemporary twist. For example, darker tiles are making their way to the bathroom to make a bold statement. Not to mention, sinks are ditching the cabinets underneath for a set of legs to give that bathroom a fresh and cool look. It’s worth mentioning however, that when all else fails, look towards the epicenter of the hottest new trends. Yep, that’s right, we’re talking about fashion! 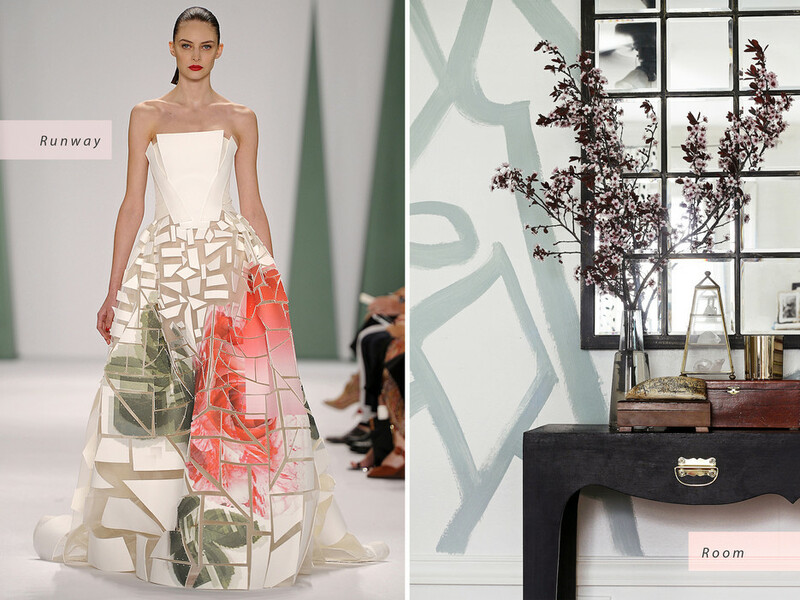 As it turns out, the runway has always proved to be a point of inspiration for even interior design. Take loose geometric lines for example and implementing them into a room as a fresh new wallpaper or paint job will vibrantly shake up any living space! In any case, whether it’s big or small, the new year is the perfect time to try out that new trend you’ve been itching to bring to life in your home! This entry was posted in home remodeling and tagged 2015, 2015 trends, color of the year, design, home, home remodeling, interior design, New trends, New Year, New Year Trends, Pantone, real estate. With the new year officially on the clock, it’s time to start looking at making those big changes just in time for 2015. What better place to start than with some changes where you spend most of your free time…home! With National Cut Your Energy Costs Day just a day away, we’re here to provide you with all the tips you need to make sure your home is green to go! But wait, why bother with making your home energy efficient? Well besides the obvious reason of saving big bucks AND lending a big hand to mother nature, there’s also the fact that making the initiative to have a green home is one of the few places that implementing energy efficient solutions will yield results remarkably quick. Right after you’ve made these changes, it’s not uncommon to see a drop in utility bills and spending within a few billing cycles! Even using reusable options can help to cut the average cost of spending in your home. Consider that home appliances generally play a major role in hiking up your energy costs. But do you know just how big that role is? Well, just skipping on your dishwashers drying cycle and allowing it to air dry can cut your energy costs by up to 20% in the long haul! As if that’s not reason enough, you simply have to take into account that environmental benefits will be present, too. For example, just by lowering your water heater by 10 degrees can lessen your homes carbon dioxide output by 600 pounds a year! Try lowering the thermostat on a water heater to 120 degrees instead of the standard 140 to begin reaping the benefits and cutting your energy costs. Whether you’re looking to make big changes or minor adjustments, every little bit counts towards making a major difference. Start by pinpointing the lights in your home that you tend to use the most. For each house, that could be different, whether it’s the light in your living room, porch or even your bedroom. 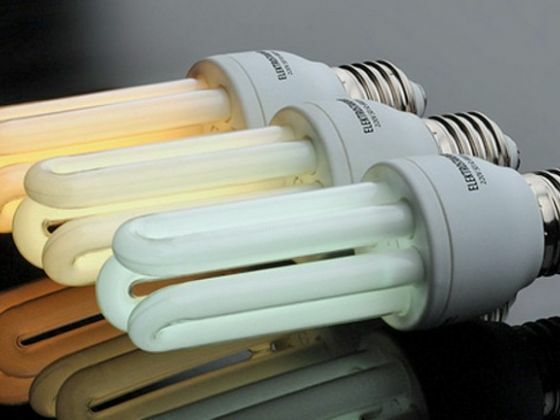 By replacing the 5 most frequently used with Energy Star-qualified bulbs, you’ll be well on your way to saving money. Even if you’re looking to start a little bit smaller, simply reduce your use of heat in appliances like washers and driers. As simple as it may sound, the results could be astronomically beneficial to your energy costs. In fact, LG Electronics reports that approximately 90% of energy used by these machines is dedicated solely to heating. Make use of cold-water settings and even hanging clothes to dry every now and then. All in all, there are a ton of ways to easily reduce your energy costs at home, whether it’s installing energy efficient appliances or just unplugging products when they’re not in use, the benefits you (and our earth) will see in the long run are clear. This entry was posted in home remodeling and tagged energy, energy costs, energy-efficient, home, home tips, national cut your energy costs day, real estate, real estate tips. The Christmas spirit can mean any number of things depending on whom you ask. To us (and any bonafide real estate fanatic) it’s all about the hidden potential that the season holds for our homes. You see, decorating during Christmas time is a common tradition, one that brings magic right into our very homes. Learning how to add that touch of Christmas magic to your living space will prove to accentuate all the hidden beauties of your home and even give your listing some extra life on the market! So whether you’re looking to sell or simply entertain, we’ve rounded up some of the best tips to make sure that your home is gleaming with joy just in time for the biggest holiday of the year! Start by taking a long hard look at your home. This may sound a bit silly, since after all, you probably spend a large majority of time in your house. 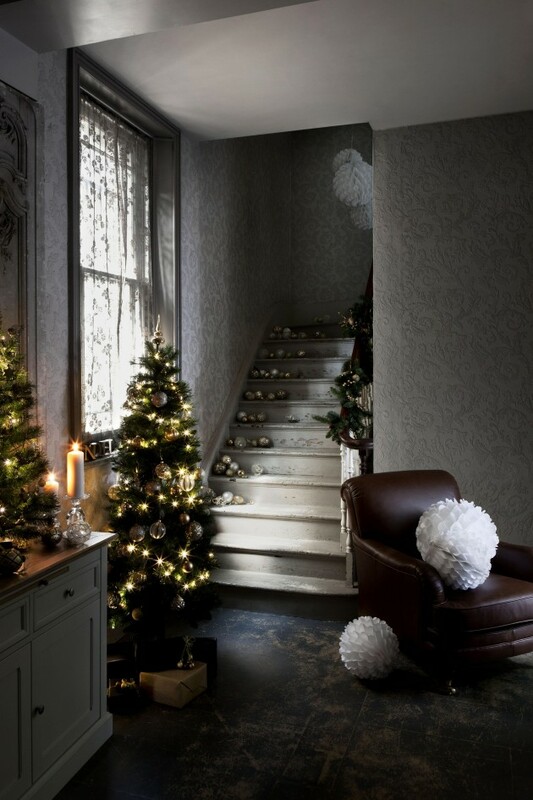 But examining your living space and determining the features to highlight is the first essential step to make sure that you’re on the right path to interior Christmas cheer! Make use of the offerings of your home and play it up to your advantage. Try cautiously using Christmas ornaments on your steps, using the interior colors to your advantage and even adding a blend of natural lighting originating from your windows, as well as from candles for dimly lit areas. It’s important to make sure that the decorations you add, whether for staging or personal gratification, add an elegant twist to the room without coming off as overbearing. Try to focus on the feeling that the room conveys to the average eye. More importantly, focus primarily on the core of your home, which can represent a number of different rooms depending on your living space. Focusing on the focal point of your home when it comes to your Christmas redesign will prove to save both time and money on your efforts. Even if you have the saying “less is more” permanently engrained in your memory, skipping out on winter accentuating decorations altogether may put you at a slight disadvantage to others. Even a few subtle touches will help reimagine your living space. This includes the ratio of your Christmas tree to the room it’s placed in. While a tall tree helps draw the eye to higher ceilings, one that is wider and takes up more floor space could leave guests feeling claustrophobic. In addition, make use of a natural color palette that doesn’t go overboard. Try mixing metallic with your colors for a nice seasonal touch. Above all else, make sure that your outdoor Christmas lighting doesn’t border on over the top. Try using holiday lights to your advantage to highlight the key features of your landscaping like neatly trimmed shrubs or the amazing silhouette of your home. However, you plan on doing it, simply be sure to bring a touch of holiday cheer to your home with some added love. After all, the Christmas season is all about the magic of wintertime. Happy Holidays! This entry was posted in home remodeling, real estate and tagged Christmas, decorations, financing, holiday, home, interior design, real estate, redesign, season, tips, winter. You’ve heard the fearful warning cries of home sellers everywhere, “Don’t sell your house during the winter!” Believe us, so we have. But does the claim hold any real truth? Both the fall and winter have come to earn a bad rep on the real estate selling market, but the truth is these seasons aren’t the off-season that everyone paints them out to be. With a few tips and tricks from us, you’ll be fast on your way to getting your home out of your hands just in time for the New Year! Sure, the numbers don’t lie. We’ll admit it; the winter season does indeed have fewer potential homebuyers. But numbers also suggest that there are fewer listings to choose from. Logically speaking, that can only mean that the few buyers who ARE out there have slim pickings. Suddenly, making sure that your property is the absolute best just became a lot easier. Going against everything you’ve heard, we’re here to tell you that selling your home during winter isn’t impossible. In fact, some actually suggest that your home will sell faster AND for more money in the wintertime. Take Baltimore, for example, where 54% of homes placed on the real estate market in winter actually sold within a timespan of 6 months. However, compared to the summer and springtime, that number decreased to a range of 43% and 46%. Still not convinced? Further studies have gone on to suggest that a home listed during the wintertime is 9% more likely to sell and at a quicker rate too! We know, we know, this may all come as a major shock to you, especially since it contradicts everything real estate professionals have said about selling during the holiday season. But before you jump on the market, it’s important to know how to take full advantage of the season, which is exactly what we’re here for! If you’re in the business of selling your home during the season, make sure you keep some of the biggest winter home selling tips in mind to get the most out of your efforts. We’ll begin with the most obvious, make sure your home is aesthetically pleasing to the eye, this can mean making sure that your driveway is shoveled if you live in a snow-ridden area or even making sure that both your windows are clean, especially since these are a major source of cozy lighting during the winter time. Finally, take advantage of the power of your winter listing and display the beauty of your home year-round to give potential homebuyers an idea of what they’ll be investing in, regardless of the season. Also, make sure that your home gives of a cozy and warm vibe. 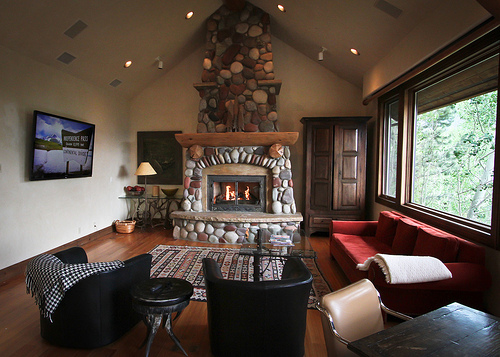 Make use of that fireplace you’ve barely touched and open up the curtains to let some natural light leak in. Don’t forget to even take advantage of the holiday season, but remember not to go overboard with your decorating. This entry was posted in real estate, sales and tagged December, home, real estate, selling, tips, weather, winter, wintertime.